August 2018 – J.G. Brands Christmas Tree Sales Inc. The Christmas season is that time of the year when outdoor decorating is just as important as dressing the tree up. Need that perfect wreath as the finishing touch for the outside front door of the house, restaurant or apartment entrance? J.G. 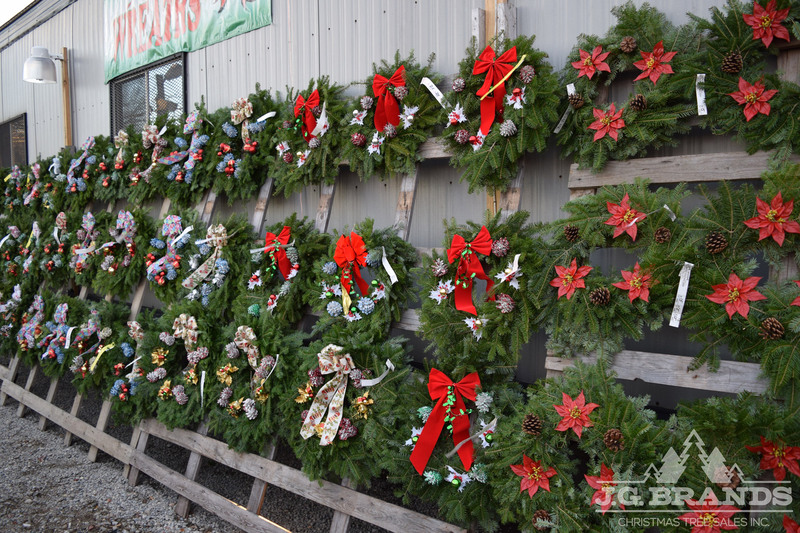 Brands wreaths are the highest quality in the industry and are all individually handmade with beautiful green balsam fir. Our services also include both undecorated or decorated wreaths to provide fundraisers for local firehouses, churches, schools and Boy Scout troops. Our decorated wreaths include 4 pine cones, 3 berry picks and a red bow. Premium: Sheared, high density, full shape on all sides and sold in various sizes. 6-8 #1: Sheared, Light density tree and range in the heights of 6 to 8 feet for all customers. 6-8 #2: Sheared, Very light density tree and range in the heights of 6 to 8 feet for all customers. Summer. That time of the year when everyone is taking time off from work, planning vacations, BBQ’s and frequent trips to the beach. Christmas trees are usually not the first thought that pops into someone’s head on a hot July day. J.G. Brands spends the summer months of July and August visiting our tree growers plantations in Canada and North Carolina to check up on the progress of the growing season. This is our way of making sure the Christmas trees that we provide to our wholesale customers in November and December meet our standard of quality. Our crops of Canadian Balsam Fir and North Carolina Fraser Fir had an excellent growing season this year. The trees had an healthy dose of rain and heat as it provided beautiful needle color, new height and strong growth on the branches. 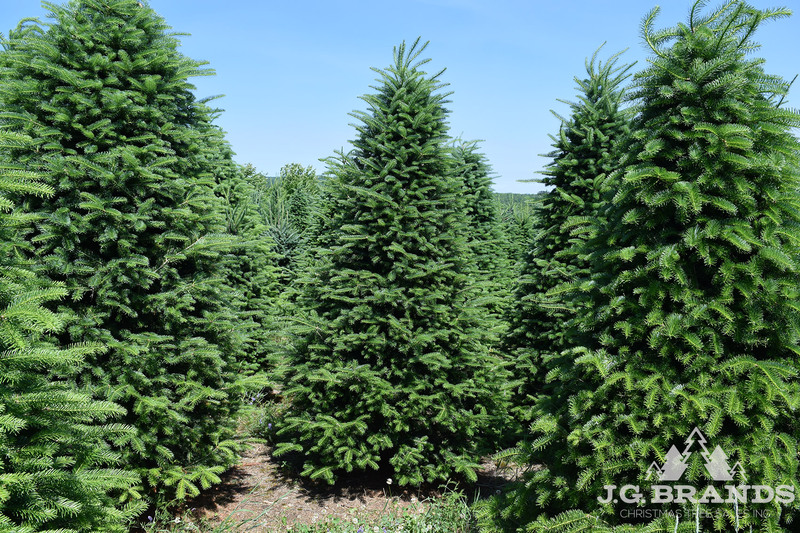 As of mid-July our Christmas trees growers have started the process of individually trimming our trees and will continue this process through the remainder of the summer months. All of our current and new wholesale customers for 2018 should expect a beautiful Christmas tree in the months ahead. Author jgbrandsPosted on August 17, 2018 August 17, 2018 Format ImageLeave a comment on Christmas in July! Welcome to the J.G. 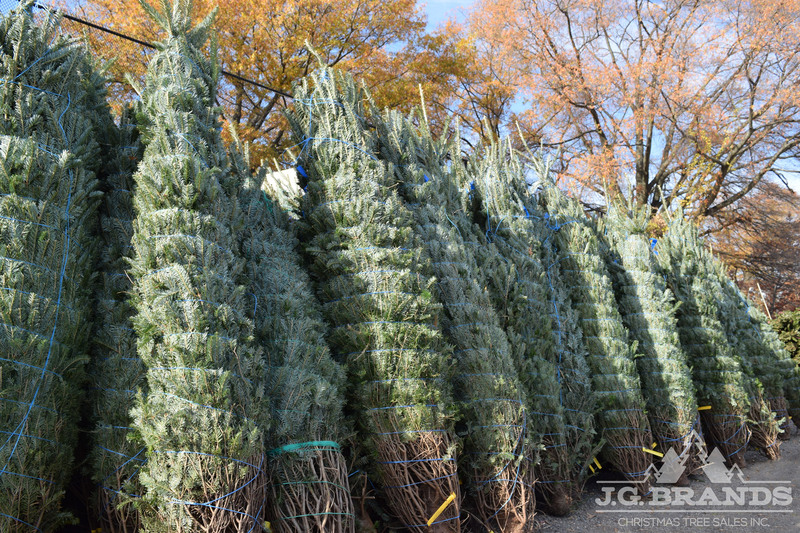 Brands Christmas Tree Sales Inc. Blog! We will be posting exclusive content regarding all our latest company information and wholesale product line of Christmas trees, wreaths, roping and seasonal Christmas items. Author jgbrandsPosted on August 15, 2018 August 15, 2018 Leave a comment on Seasons Greetings!